What a great pleasure to speak with young Will Holbrook, 19, who is currently playing Romeo in Archway's production of Romeo and Juliet. Will happens to be the grandson of one of our greatest living actors Hal Holbrook. Will, your grandpa is a truly great actor, one of the best. What is it like to perform for him? How has he inspired you? Is he attentive to your needs - both giving and constructively critical ... or does he leave you on your own to overcome your own failures? Is he happy or unhappy that you have chosen the acting profession? It isn't particularly different for me having him in the audience. He is an inspirational figure to me because he loves what he does and he works hard. There are many lessons in watching him work at his senior age, and observing his passion to keep moving is an incredible thing. I am very glad we get to have the grandfather-grandson relationship we do, and he is always asking me how he can help or if I have any questions. He has always been my grandpa first, and it is very comforting to know that I have someone who I can ask anything, about life or about the business. I think he is happy for me that I am pursuing my passion, and he sees where my heart is at, in the work and the pursuit of my goals, so he is confident that I will get out of it what I put into it. He is one of my biggest fans and in a career path that is totally inconsistent; he is one of my rocks I can rely on for support. Tell us how your interest in acting got started. Are you studying it formally in school? I can't remember not wanting to be an actor. I started putting on shows for my parents when I was four and five years old. I love storytelling, and I love performing for people. My passion for the craft grew rapidly from a love of performing, and my respect for it has grown through a love of dedicating and committing my energy to something bigger than myself. I've always felt that the best way for me to communicate to others was through telling stories. Acting feels like my window into the world. Because I wanted it from a very young age, there were never really any discussions about what I would do for work or what I would do after high school, it became very matter of fact among everyone I knew that 'Will is going to go be an actor'. School was always difficult for me because I knew exactly what I wanted to be doing, and everything else felt like a distraction from that. For my first three years of high school I went to a technical school where we had career shops, and mine was theater. We had our own big theater and we put on a few shows a year, those were important experiences. I never planned to go to college because I was itching so much to begin my career, I just wanted to work and learn by doing. I do spend a lot of time with classes and currently I am studying at Ivana Chubbuck studio. Let's talk about Romeo and Juliet. You are certainly starting in the right place with Shakespeare. Classical training is wonderful for the actor, as it frees you to be big and bold and unafraid with your actions, as you tackle all that beautiful poetic language. How are you enjoying the role and what challenges are you facing in playing Romeo? Do you think he is a typical leading man? I never expected to have the opportunity to play Romeo while young, but when it happened I was elated. Performing Shakespeare is a completely unique experience for me. I think there is simply more to be mined from his writing than others, so much rich emotional, contextual, and linguistic information there, and he is a great writer for actors, giving lots of freedom to explore within his brilliant guidelines. Preparing this role has been pretty much the time of my life, and I am excited to now bring in the audiences. It is a very challenging role and I have given my best effort to take those challenges head on. The hardest part for me was getting to the extremely vulnerable place he is at, and cracking open my chest for that. It is exhausting and very rewarding. Whether Romeo is a typical leading man I think depends on one's definition of typical. I think the stereotype of Romeo is that of a typical leading man, but I think a lot of his depth can get lost depending on the production. He is at his peak developmental age and is at that teenage crossroad; about to enter to the adult world and trying to figure out what it has in store for him while also having one foot still in the extreme but playful world of childhood. There is certainly a lot to him, he is special, so in that way I would say he is not typical. Has your grandfather been of help to you in any way in preparing for this role? My grandpa has been helpful in my preparation both as a fellow actor and as a close friend. He is always there for encouragement, and there for acting advice when I seek it out. He respects my work, which is wonderful for me; many young actors don't get to live with a family member let alone somebody who truly respects their work. There have been many cases where talking to him can help simplify various knots I come across in both the material and my performance of it. How did you happen to join Archway? Talk a bit about this company. I first came across the Archway Theatre last year on a casting call for Hamlet. I auditioned and was cast as Marcellus, and after a successful run of that show Steven Sabel (artistic director) asked me to join the actors company. The Archway is a splendid home for me, a place where I can count on friendly faces and artists who take pride in their work. Our company works very hard to grow the theatre and it’s rewarding to see the results. At this time, I prefer the classics to many modern shows, so the Archway is a good fit for me. You are wise to do theatre, as the live audience always gives the actor instant gratification. What other plays have you done so far and how did it go for you? What have you learned? Theatre is the best way for me to grow right now, and I've had several of those experiences at the Archway, first as Marcellus in Hamlet last year, then last summer as Algernon in The Importance of Being Earnest, and now as Romeo. Each show has served as a marker for me in my growth, and by getting out there and doing theatre I think you discover a lot about yourself as a performer as far as what you do or do not like and preferences in preparation. You learn how to handle time effectively and how to play an audience; you really learn how to be an actor in many ways. Theatre requires being totally in the moment and focused, and those things can be hard to find in the other mediums. There is no going back when you step on stage, whatever may have happened in life before you step onstage, you are in a new world once you are there. There is something beautiful about doing your best at something and then leaving it behind. I'm always fascinated by how the shows you do end up reminding you of periods in your life; the opportunity to grow as a human and character at the same time is special. What is this Romeo and Juliet like? Is it traditional or are there surprises in store for the audience? Tell me about the director and his approach. I think this production of Romeo and Juliet is unique in it's truth to the text and tradition. It seems to me many Shakespeare productions are now put on with some twist, to adapt to a modern sensibility, but ours is classical. I don't think people get many chances to see Shakespeare plays done classically with a knowledge of the text, which is why those few you get to see are very memorable. Our director (and artistic director of the theatre) Steven Sabel likes to say our production is 'as hot as a Verona summer day'. Our director Steven is wonderful to work with. He possesses a vast knowledge of the text and his passion for theater is something to behold and rubs off on those around him. He has over 40 Shakespeare productions under his belt and this is his fourth Romeo and Juliet. Steven encourages us to take risks and looks out for his actors in a big way. He is the passionate, open-minded leader that as an actor you relish getting to work with. If you had to ask your grandfather for advice, just one thing, what one thing would you ask him? I don't know if there is any particular piece of advice I would ask him, because I often reach out to him when I am looking for advice. I am lucky that I have somebody so wise and generous with his experiences that he is an open book with me. We often talk about life and acting. I think he trusts I will follow my heart, and that there isn't much more that is needed beyond that. Anything you care to add.about the play, your career in acting, or ...?. I waited and prepared my whole life to come to LA and work, and I am glad I get to pursue my goals. Playing Romeo has been a process I will always remember, and we are very excited to share our work with audiences. See you in Verona! Actress Judith Light certainly needs no introduction. 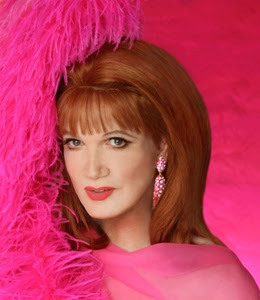 A familiar face to television audiences, she co-starred in the soap One Life to Live winning two Daytime Emmy Awards and in prime time with Tony Danza in Who's the Boss?She has also won two Tony Awards for her stellar work on Broadway. She is a gay rights activist and she and her husband Robert Desiderio have contributed greatly to the gay community in Los Angeles over the years. Co-starring in Amazon's web series Transparent, she is currently performing double duty: the TV show by day and at night a workshop play God Looked Away at the Pasadena Playhouse sharing the stage with none other than icon Al Pacino. I caught up with her this week, and she talked briefly but joyously about the play, her role in it and working with Pacino. Tell us about the play God Looked Away and your role in it. 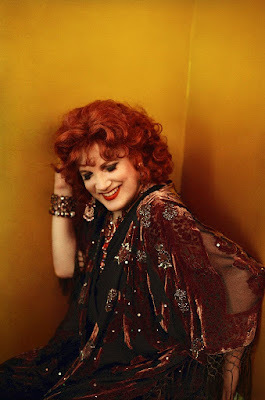 I play Tennessee Williams' very close friend Estelle who is based on a woman in his life named Maria St. Just. There was a book that came out that she wrote that was called Five O'Clock Angel, and there are a lot of stories about them and their relationship. She married well into English society; she married a man who was - he told her - bisexual, but he leaned toward being gay. It was a difficult time for her all through her life, but that's not what this is about. This is about their relationship (with Tennessee). It's really the story of the need ... the story of Tennessee Williams and the last 14 years of his life ... and with this woman and with his companion during that time period, whom he called 'Baby'. The play is written by Dotson Rader, a journalist...and Dotson was 'Baby' who is in the play, and it's their story. It takes place during this last production that was done in Chicago of the last Tennessee Williams play produced called A House Not Meant to Stand. It was received mildly well to mixed reviews in Chicago but it really began in some sense the downward spiral that Tennessee was in and eventually led to his death. It's about the drugs and the drinking and the process that he was going through during this one night in a Chicago hotel the opening night of this play. Very sad. But it's billed as a comedy, right? You know what, you cannot label this play. There are a lot of things that are very funny in it; there are also things that are very devastating about who this man was and his enormous talent and guilt that he carried around all his life. And it's a really tender piece; it's also about love and about relationships and dynamics in relationships, how people hurt each other without meaning to, and their own loss and their own sorrow, things that have not been processed in their own life. Tell us about working onstage with Al Pacino. Have you ever worked with him before? I have not. (pause) I have always wanted to work with him. And he is for me consistently remarkable. He is so present and so in the moment that it makes you, makes one, makes me the ever present, and that's really all you can ever ask of a partner onstage. His process is so interesting. I'm learning so much by watching him. Every line, every piece of the script is something to be delved into and dissected and talked about. We were in a note session last night and we were talking about moments that we have touched on and not have delved into, and that's why doing this play in Pasadena and having this opportunity to workshop it...because this is a play in development. You know how fabulous the O'Neill is, the O'Neill Foundation, and how you get to spend time working on a play, working with the playwright. Dotson (Rader) has been there the whole time and Robert Allan Ackerman, our director - who I actually worked with at the O'Neill. He's a wonderful director, and he and Al have worked together before. So the kind of work that we're doing, the kind of development that we're doing on this, we're learning so much performing it for the audiences in this particular way. The kind of freedom that we have to be able to work on the play has been an experience that I will cherish forever. Are there other characters besides the two of you? Is the plan to take this to Broadway? There is really no plan at this point in time. What Al and Dotson and Robert want to do is really take the time to work on the play. This is the first in what will become a series at Pasadena Playhouse. Danny Feldman who has taken over for Sheldon Epps as producing artistic director feels very strongly about a program like this, where we do plays in Los Angeles ... and we see what happens with them eventually. And Tennessee did two of his plays at the Pasadena Playhouse a long time ago, so in a way it's a homecoming. We'll see. We really don't have any idea; it's a work in progress. You know, we have rehearsal every day too. and notes every day and every night. There's a consistency of growth and process in the play, as we have the freedom to explore. Then we will be prepared for that next step because we've built this very strong foundation. Dotson is changing and rewriting things all the time. We're having to be on top of that all the time, but we love this development. It's a very valuable time for us. Is this do you think the best role you have ever played? It's a really fabulous role. It's a role that ... you know me, I like to do things that are different. You are always exciting to watch. You never let us down. Thank you. You're so sweet. It's a very rich role, very different, particularly from what I'm doing on Transparent, so I love that and I love getting to explore another dimension of myself and another character and the psychology of someone who is incredibly forthright and out there and deeply connected to her relationship and her love for and her friendship with this man Tennessee Williams, who was and still is an icon, for me personally. The joy of doing that and consistently creating her, and the excitement that I have of getting onstage with Al every performance is thrilling for me. I want to thank you, Judith, for your time and I also want to take the time to thank you personally and your husband Robert (Desiderio) for all of the valuable time and support that you have given to the gay community over the years. You have been sensational in supporting gay rights. God bless you! Oh my goodness, it is my and our honor and joy to be able to give back to an extraordinary community that we feel so supported by and loved so much. Thank you! who has won many awards over the course of his varied career. Remembered for his plays Vampire Lesbians of Sodom, Psycho Beach Party and Die, Mommie, Die!, the latter two having been translated to film, Busch never ceases to amaze with his unique style of creativity. On March 13 and 14 he is bringing his act That Girl/That Boy to Rockwell Table and Stage. In our chat, he talks about this cabaret evening along with delightful observations of the theatre and movie world. In a nutshell, tell our readers about what you are doing in That Girl/That Boy at Rockwell on March 13/14. How is the show unlike any show you have ever done? Actually, this show is not unlike anything I've ever done. Quite the opposite. This show is very representative of all the work my musical director/arranger Tom Judson and I have been involved in for the past four years. I come to the world of cabaret rather late and it's been fascinating and very fulfilling learning so much about music and singing and expressing myself through song. I'm an actor/playwright first and I've loved applying all of my skills and experience to this new chapter of my career. I'm really enjoying projecting a very true version of myself to the audience. It's a bit odd that I'm in drag but after so many years I'm so at one with my androgyny that it doesn't really matter what I wear, the essence of who I am is the same. In this show I'm able to entertain the audience with true stories of my life and career, most of which are humorous. I tend to view my life as a sixties sitcom. And I'm singing a collection of gorgeous songs from a wide range of music; Broadway, country western, pop. I choose the songs very carefully because they have to be a vehicle for me to treat as an individual little play. I sing quite a few dramatic songs like "Surabaya Johnny" but a friend of mine told me not to worry. He said my intros are my uptunes. I'd say my shows are sixty five per cent music, thirty five per cent comedy. And if I'm on a roll, it's sixty five per cent music and fifty five per cent comedy. How long has it been since you did a cabaret in LA and why? Is it for lack of time or do you find LA difficult to perform in? This will be my LA cabaret debut. It's kind of bizarre that I've performed in nearly every city, village and township in California but not LA. I'm so looking forward to it. I've appeared in two productions of my plays in LA. And I loved it. In 1990 we did a very elaborate production of Vampire Lesbians of Sodom at the Coronet and then in 1999 we actually premiered the original play of Die Mommie Die at the Coast Playhouse. This may sound very typical showbizzy of me but I really mean it. I found the LA audiences very sophisticated and hip. So many people are transplanted New Yorkers and are connected with the entertainment world. We share the same sense of humor. I hate to generalize and I don't mean to pander but honestly I found the LA audiences some of the most receptive in my career. What do you find that you accomplish with this kind of show entertainment-wise that you do not quite do with a play or musical play? I love the fluidity and spontaneity of performing a cabaret act. I know exactly where I'm going but sometimes I take a slightly different route and it's always interesting. It's kind of like driving to Palm Springs and taking some delightful detour but you still manage to arrive in Palm Springs on time. Actors always dream of being "in the moment", which is when your instincts take over and you're no longer intellectualizing a character in a given situation. Somehow I find it easier to be in the moment when I'm singing a song. Perhaps it's the addition of melody that transports you into a deeper place. And I'm a font of anecdotes. Sometimes I think I get myself into situations just so that I can talk about it later. It's fun sharing these tales with the audience. I've got a million of 'em. Which of your plays is your favorite or do you have one? If not one, then mention a few you prefer. Why this one or these ones? Sometimes it's hard not to have your critical opinion influenced by memories of the original production. Was it a happy or awful experience? I'm very nostalgic about two plays of mine that I wrote and performed with my original company, Theatre-in- Limbo. One was an homage to anti-Nazi suspense movies of the forties called The Lady in Question. It was so much fun playing this romantic role of a glamorous concert pianist who takes on the Nazis and gets the best of everyone.The other play Red Scare on Sunset was my most political play which took place in 1950s Hollywood during the blacklist. Not an obvious source of wacky comedy and it demanded the audience have a keen sense of irony and some did not. But I loved playing it. I think it would be a very interesting play to do again. Why do you think there have been so few of your plays turned into movies? Tale of the Allergist's Wife is certainly more mainstream than the others. Any interest in a film of this? If not, why? Well, it ain't for lack of trying. We've been working on a movie of The Allergist's Wife for years. Every time we think we're about to start shooting, we either lose the star or the director. I really thought we were going to be making the movie this past Fall but once again it evaporated. Hope springs eternal. There are a few other of my plays that are in various stages of ... let's put it this way, discussion. This past week I've been very encouraged. Next week. Who knows? Who is your favorite playwright? Play? Musical? Why these particular choices? Two contemporary playwrights I admire greatly are Kenneth Lonergan and Doug Wright. Both are friends of mine. Kenny writes about people that in life I would have nothing in common with and yet I watch his plays spellbound. He has extraordinary insight into people. Particularly lost fragile souls. And Doug has such a marvelous theatrical sense. I looooved the musical Grey Gardens. I saw it five times and paid full price! I was fascinated by the choices he made in telling that odd and emotionally complex story. Which field that you haven't chosen would you like to choose to satirize theatrically? You've done marriage, the sisterhood of nuns, what about someone in education, a teacher by day and a female impersonator by night. Someone trying desperately to dare to be different but still cautious about hiding his identity. Any thoughts on that? I get different ideas all the time. Too many ideas. I keep a folder on my computer called "Notes" and I write every fleeting notion down. Eighty per cent never get past a few lines but then some of them just take off. I have notes on a slew of different movie parody plays. I always wanted to do a decadent 1930s mystery play Murder at the Ballet and I have many notes on a western homage. No gunslingers or dance hall girls. I'd like to do sort of a How The West Was Won where I played an Irish servant girl who goes west and drives a covered wagon and ages forty years and ends up the matriarch of a dynasty. I got a million different ideas. I wish I had a TV show where I could perform a different movie parody play each week. That would get them all out of my system. As a film historian, how do you judge the newer crop of films coming out? I hear people complaining all the time about the lack of substance in movies, that there's too many special effects, etc. In your mind, are films as good as they used to be? If not how could they change for the better? We can't go back and recapture what once was, so what can be done to salvage the film industry? I'm a glass half-full kind of fellow. I'm very encouraged by the success of dramatic films like Hidden Figures. Obviously there is an audience for a more adult form of movie. It won't gross as much as a special effects driven franchise but it can make money. Certainly La La Land should be encouraging to producers. And it looks like we're really in a new golden age of dramatic television. Lots of great writing and acting going on. What's up next for you? Any projects you care to share with our readers? I tend to think of myself as someone who spends too much time reclining on my sofa but I actually have quite a bit going on. I have a new play that I'm very excited about that's scheduled for some time in 2018/19. Seems a long time away but will be here before I know it. 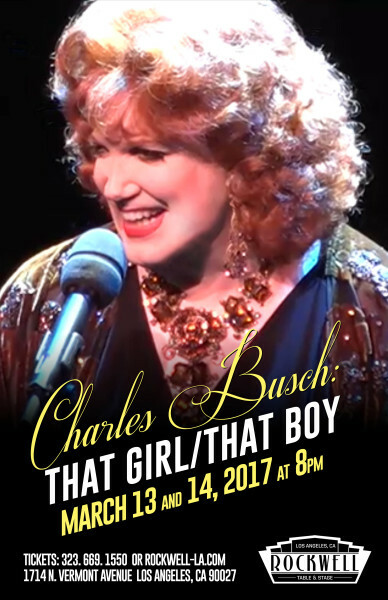 And I'm very excited about the recent release of my first CD "Charles Busch Live at Feinsteins/54 Below." I never thought I would be able to call myself a recording artist. I call myself that around ten times a day. I think that about covers the waterfront. Lovely chatting with you and I hope to see you at Rockwell Table and Stage. 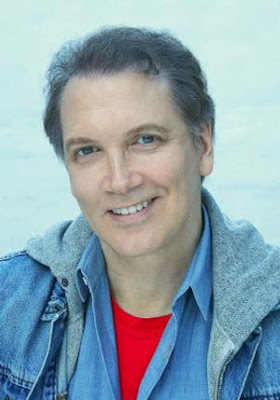 Don't miss Charles Busch, the talented man with the inimitable wit on March 13 and 14 at Rockwell Table and Stage! 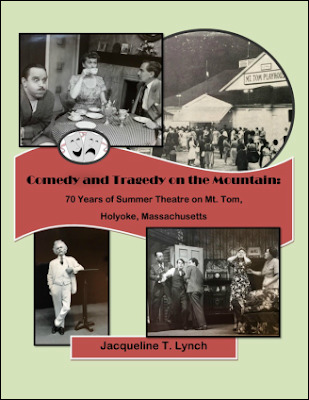 Author Jacqueline T. Lynch has just published Comedy and Tragedy on the Mountain about the Mt. Tom Playhouse in Holyoke, Massachusetts. She interviewed me about three years ago, since I was born and raised in Holyoke and ... since I spent my childhood watching the Valley Players at Mt. Tom. The Players were my mentors for my odyssey through the acting world. It's a fascinating book. 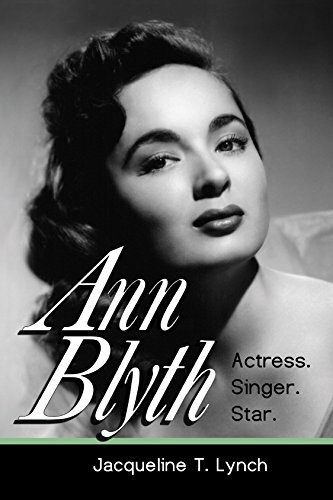 Lynch has also written the only biography in existence of movie and musical star Ann Blyth. In the following interview she talks about both books and her life as a writer. Have you always been a writer? If not, when did the desire to write begin? I turned to writing seriously when I was about fourteen and tried to write a novel suddenly one day, and never wanted to be anything else from that time. But as I look back now, I was always a storyteller from early childhood—with my toys and my imagination making up adventures for them; I just never knew that’s what I was doing. But the bug hit as a teen when I dove into Agatha Christie and Ellery Queen, and I wanted to figure out how they constructed their mysteries. I took them apart, much like a teenage kid tinkers with a used car, and was fascinated by the process. Through my teen years I likewise studied the great poets, and read plays, as well as novels (and wrote a lot too). It was a wonderful apprenticeship. I have a bachelor’s degree in English, but I still feel that the exploration of my hometown library as a teen was just as important a grounding for a writing career. Have you engaged in other occupations besides writing? If so, which ones? My first job was in a library, but I’ve worked in offices and factories. 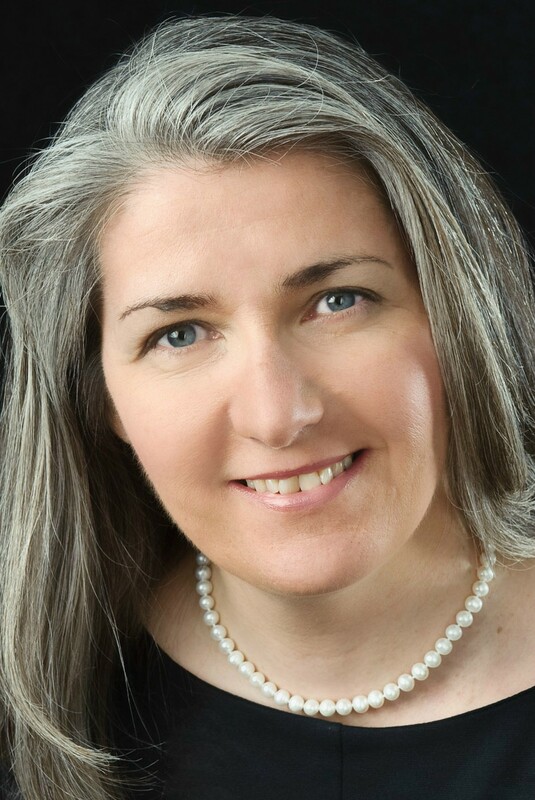 I’ve worked as a columnist for a few different newspapers (I currently write a syndicated column on classic films called Silver Screen, Golden Years), and was assistant editor and office manager for a small monthly history magazine. I’ve been self-employed as well for many years as a transcriptionist. I’m branching out into proofreading for court reporters, and accepting new clients. What is it about the profession that you love? Talk about your blog on classic films. Just as when I was a teen taking apart the great works of master writers, writing is my way of figuring out the world, as well as entertaining myself. To be sure, I want an audience to enjoy my work and be educated and entertained by it, but I confess, first and foremost, it’s for me. I actually have three blogs at present: Another Old Movie Blog, which is going to be ten years old in March; New England Travels, about the history and culture of New England, and this blog will be ten years old in September; and Ann Blyth: Actress, Singer, Star – based on my book on Ann Blyth, which is a way for me to connect with her fans and use some material that didn’t make the book. The movie blog started really just as sort of a whim. I’ve been a classic film fan since early childhood, and old movies have always been an education for me, a way to time-travel. My blog explores the films as windows on American pop culture in the decades these films were made: from the teens to the early 1960s. I don’t really review the films per se; I analyze them in the setting of their eras and discuss their meaning in their times and the legacy they leave us. When I watch a movie, I invariably discuss it in my head, so the leap to writing weekly essays about these films just sort of happened as a way to exorcise these stupid running soliloquies I was having with myself on Bogart and cloche hats and running boards on Packards. Have you always lived back East? Talk about New England and your roots. Yes, I’m a New Englander; my family has lived here, different branches, for five and six generations. Some of my father’s side came here in the early and mid-1800s; my mother’s side came through Ellis Island in the years just before World War I. I’ve traveled a bit (I love to travel), but I’ve never lived anywhere else. In the town where I live there is a huge granite Celtic cross on the grounds of my church that was made by my great-great grandfather, who was a stone cutter and artisan. It’s a lovely piece of work and we’re rather proud of it. You also have written a couple of books about New England. Talk about them and how they came to be. States of Mind: New England is a collection of essays and articles that were originally published in magazines, or were posts on my New England blog. It was a way of re-using the material in another format. The period of history covered is from the early 1800s to the early 1900s, and looks at the mill girls who pioneered employment outside the home for women, to the first black woman pharmacist in Connecticut, through inventions, sweeping social movements. From the Civil War to the Civilian Conservation Corps, the book is about New England as an idea, rather than just a place. The other New England book you perhaps refer to is about the Ames Manufacturing Company, which was an important supplier of arms to the Union Army during the Civil War, and discusses in particular three men who were connected with it: a machinist who left to join the army, served at several major battles and was later awarded the Medal of Honor; a worker in the foundry who in post-war years became one of the country’s best known producers of bronze statuary in the country; and the owner of the plant, James T. Ames and what his family experienced as leading citizens in the town. How did the biography of Ann Blyth come about? Had you always been a fan? The Ann Blyth book started as a series of blog posts on Another Old Movie Blog. I had written posts about a couple of her films, and decided that I would like to write about a few more, so I got a list together of her movies to choose. Two things immediately struck me: one, I was unfamiliar with most of her movies, and this surprised me. I had been a classic film fan since early childhood and had seen a lot—a lot—of old movies, but I had seen only about a third of hers. Second, I discovered that most were not available on DVD or VHS, and were not being shown on Turner Classic Movies because they were from the Universal studio and TCM (without getting into legal details) does not have access to too many Universal films. So, curious about all this, I decided to find as many of her films as I could, and this led to another discovery: Ann Blyth is a remarkably versatile talent, adept at drama, comedy, musicals, pretty much anything that was thrown at her. However, though she came to be called “a young Bette Davis” for her powerful dramatic roles, i.e. Mildred Pierce, when the publicity department and gossip columnists got hold of the news of her quiet, church-going private life, they put a different spin on her career trajectory, and the studios relegated her to more lightweight roles. I guess they thought it would be hard for the public to accept her in villain roles when they were fed so many stories on her being a nice girl. She was as famous as anyone could be in the late 1940s, but today only diehard fans recall the range of magnificent work she did on screen. Fortunately, she enjoyed a second career in regional theatre, and concerts, as well as occasional television roles. I decided to write a weekly blog post on one of her films or some aspect of her career for the entire year of 2014, and it wasn’t halfway into the project when readers, who had from the start suggested I turn it into a book, finally convinced me that with all this material, it would be a good idea to turn it into book form. So, the book just sort of grew out of the blog. There is more material in the book, however, and lots of photos that do not appear on the blog. It was one of the most meaningful projects I’ve ever worked on, and very dear to my heart. Did she participate in the writing by doing an interview with you? I assume you had to get her permission up front, so you must have contacted her. I had contacted her representative early on, but Mrs.McNulty (her married name) respectfully declined through him to be interviewed, so I proceeded without her input, and I certainly understand and respected her preference to not participate. The book is not an authorized biography; indeed, it’s not really a traditional movie star biography at all; it’s more about her career than her personal life. This was the kind of analytical book I wanted to write, about the nuts and bolts of how a young kid who started in radio and on Broadway (in the seminal hit Watch On the Rhine—she was chosen for the role by playwright Lillian Hellman and the director, Herman Shumlin) got to become a huge star in Hollywood—where she was the youngest at the time to be nominated for an Oscar, and then easily transformed herself again to a post-Hollywood career on stage and TV where she could work around the needs of her family (so, no, to examine her work I did not require her permission). Actually, last year both she and one of her daughters contacted me with some very kind words about the book. Mrs. McNulty and I had a brief phone conversation, which was a terrific thrill for me. I’ll always cherish the memory of her graciousness. Interesting that no one has attempted a bio of her before. Her career was so varied with music and theatre as well as film. I suspect that most film star biographies are written and published with the intention of exploiting the more sensational private life experiences of Hollywood figures, assuming that’s what sells. Someone who had lived a quiet, stable private life, married with five children, might have less interest for a publisher looking for sensational material, even if she continues to have an army of devoted fans. By the way, Ann Blyth: Actress. Singer. Star. is also out as an audio book, narrated by Los Angeles area TV and stage actress Toni Lewis. She did a magnificent job, giving each figure in the narrative a distinct voice. A very elegant and impassioned reading. Comedy and Tragedy on the Mountain is a true treasure. What specifically inspired you to write this book? The theater on the mountain is in my neck of the woods, and I am very interested in New England history as well as theatre history, so this was a nice chance to combine those two passions. Some years ago, a friend who deals in collectibles gave me some old playbills from a theatre company on Mt. Tom called The Valley Players, from the 1940s and 1950s. I knew very little about them at the time, but I was excited to begin research, and I knew that I might get an article out of it someday. What happened was I got a book out of it—that is the blessing of stumbling upon so much great material, most of which I found in the Holyoke (Massachusetts) Public Library in a collection donated by the founder of The Valley Players. How is the reaction to Mt. Tom in Holyoke? I would hope folks will buy it. It is so comprehensive, enlightening and entertaining. Thank you for the kind words, Don. I gave a talk in Holyoke recently that was well attended and there was much enthusiasm for the book. I’ve been giving newspaper interviews, and I have more talks scheduled in the months ahead. I’ll also be doing some local television interviews. What's up next for you? I would like to see you do a book on Storrowton and summer theatre back there. Does it still exist? No, the Storrowton tent theatre closed in the late1970s. Funny that you would mention Storrowton: it has a prominent part in the Mt. Tom theater story as well, as they were in competition for a while. I don’t have any plans at this point to write about Storrowton (what the future holds, I don’t know), but I do have an upcoming project for the Springfield (Massachusetts) Library and Museums Association. I’m doing a walking tour through downtown to discuss the wonderful old theaters that once were part of the area. That will be in May. You seem truly happy with the work you've accomplished. How do you feel about all of it so far? First and foremost, let me thank you for your kindness and generosity by allowing me to share a bit about my books. I really appreciate it. I also write fiction, and my novels include a historical story about the “lost” towns of the Quabbin Reservoir in central Massachusetts—those four communities that were disbanded and dismantled, and the people who had to evacuate in the 1920s and 1930s. Other novels set in New England as well include Meet Me in Nuthatch about a fictional town in the Berkshires of western Mass. and how they solve their financial problems by turning the town into a living museum set in 1905, with comic consequences. The Current Rate of Exchange is about a woman from western Mass. who travels to New Zealand to connect with long-lost relatives, again with some comic adventures, but also a few poignant messages. I also have a mystery series (I never quite lost my fascination for the tales of Ellery Queen and Agatha Christie from my teen years) set in New England in the late 1940s and 1950s. Sort of like film noir “cozies”. I’m currently working on the fifth book in the series. They feature the team of an heiress and an ex-con, neither of whom are detectives, but people keep bringing dead bodies to them and they are extraordinarily good at finding out “who done it”. Actually, I use a bit of a different tactic with these stories. Usually in mysteries, the sleuth is very clever and always pulls a rabbit out of a hat by the end of the story; the reader never knows what’s going to happen. I always resented that as a reader, because I’m stupid and could never figure out who the killer was, and was really more interested in the characters anyway. So these books are character-driven, and there are no clues kept from the reader. The crime-solving duo doesn’t know any more about the crime than the reader does. They all come to the conclusion of the story together. Then there’s Myths of the Modern Man, a complete departure, a story about a futuristic time traveler who goes back to the Celtic rebellion against the Romans in Britannia in the year 60. I’ve heard advice to writers to the effect that one should pick one topic or genre and stick with it to be successful, and while that may be so, I prefer to write whatever I feel like and to try new things. Life is too short to limit yourself. I also have several published plays, a couple award winners among them, that have been produced around the country and in Europe. I love the immediacy of playwriting. A novel is more like a marathon, you have time to reel out the story, but in a stage script, you have to hit the ground running. Each character must be fully fleshed out before you can tell the story, and each much have a purpose in every scene, every action and prop must have a reason. It requires some discipline, but I love playwriting. Most especially, writing for the theatre involves a collaboration with the director, the technical crew, and of course, the actors, and this is always fun because your work grows beyond your own ability to tell the story. Like a runner in a baton race, you must run only to a certain point, and then you hand off the baton to your teammate, and watch (and cheer for them) as they take the baton the rest of the way around the track and across the finish line. Thank you again, Don, for this opportunity to visit with you and your readers, and thank you so much for sharing your connection with the Casino playhouse on Mt. Tom, and your memories for my book.